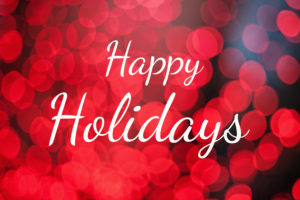 The Digestive Disease Consultants send you our warmest Holiday Wishes from our Family to yours. Happy Holidays! In this season of joy, peace and love, we count our patients, friends, colleagues and blog readers among our best blessings. We send you our gratitude for your trust and support. May you have gift of other’s hearts. We hope 2018 will be filled with Beautiful Moments. We hope you enjoy happy events destined to transform into memories with family and friends. This holiday, we hope you can enjoy a gift of time for yourself. 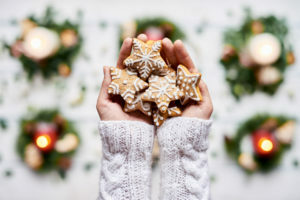 Sometimes we forget that this joyous season should present us with a little time to step back from our hectic schedule. We hope you enjoy some moments in quiet reflection over the holidays and from time to time throughout 2018. The doctors, healthcare professionals, and the staff at DDC Orlando remind you that the minutes we often name “Me-time” are not mere selfish indulgences. These minutes are healthy for your mind and your body–and good for your digestion, we might add. Of course, at this time of year, we must wish you Prosperity. Our hope is that you will fiscally and physically thrive and enjoy at least 365 rich and healthy opportunities for prosperity throughout the holiday and all the days of 2018. However, one thought rings true when we think about treasure and the achievement of wealth. There’s no real sugar in our sweet wishes for a warm holiday of with your friends and family. we make and the patients we serve. For every child, a good example.